SnoreRx at CVS: Does It Really Stop Snoring Or Is It A Dud? In a February 2018 press release, SnoreRx announced that they will be the first to sell an oral appliance over-the-counter without a prescription at CVS, the largest retail drugstore in the US. This announcement comes only four weeks after Zyppah launched a crowdfunding campaign in which they also announced that they plan to soon offer their mouthguard prescription-free at a number of different retailers. An oral appliance is a medical term that is used to describe what is commonly referred to as a snoring mouthpiece or snoring mouthguard. These devices are placed inside of the mouth and are designed to keep the jaw in the forward position which allows for unobstructed breathing and the elimination of snoring. In the 1980’s, oral appliances were custom fitted by dentists and were used to treat Obstructive Sleep Apnea (OSA). In 1994, using the same principle as professionally fitted appliances, SnoreBan became the first self-fitted oral appliance that was sold specifically for the treatment of snoring without the presence of sleep apnea. The industry remained largely stagnant until 2008 when suddenly an influx of products entered the market which were introduced with heavy advertisement spending. This brought awareness to an industry that received little attention in the past. Since these oral appliances are classified by the FDA as a class II Intraoral Devices for Snoring and/or Obstructive Sleep Apnea, they are restricted and can only be purchased on the internet or from a dentist. This prevented many companies from expanding their reach to the retail level. All of this changed in 2018. Fast forward nearly 25 years after the first snoring mouthpiece was introduced, the FDA seems as if they have loosened up the restrictions by allowing the sale of non-prescription mouthguards to the public. 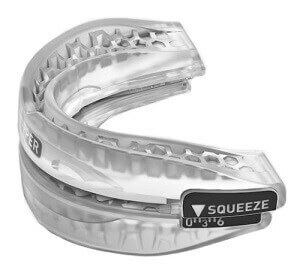 Such mouthguards have been available for sale in retail stores all across Europe for several years now. While SnoreRx is the first manufacturer to make it to retail stores within the US, it’s only a matter of time before other manufacturers pursue retail shelf space alongside SnoreRx. For many years, SnoreRx has been sold exclusively through their website for $99 plus the cost of shipping and handling. 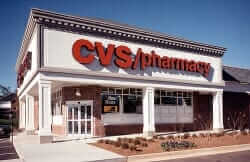 At the time of the CVS launch, the price was cut 40% to $59.99. 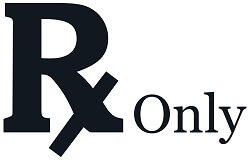 CVS offers free shipping on orders over $49.99, so purchasing the SnoreRx alone qualifies the order for free shipping, although you may still be subject to local taxes depending on the state in which you live. It’s not clear if this is an introductory price or if CVS plans to continue selling the SnoreRx at this price. Their website currently suggests that $59.99 is the “regular” price. According to the press release, CVS started carrying the SnoreRx at their store beginning March 2, 2018. This may be exciting news if you have been waiting for the SnoreRx to arrive at your local drug store. However, at the moment, it appears as though CVS is only carrying the SnoreRx online and in limited supply at only some retail stores across the US. As of this writing, store inventory in most major cities is showing as “unavailable”. Does SnoreRx Really Stop Snoring? Several years back, I gave the SnoreRx try and wrote a review. Did it really stop my snoring? It did, along with nearly every other mouthpiece that I have tried. The truth is, nearly all snoring mouthguards work. My SnoreRx review was originally published in 2013. Since then I have tested and reviewed over thirty different snoring mouthpieces. Needless to say, I have learned a bit along the way. During this time period, a number of different mouthguards have become available, each with its own unique features. What was once a sleepy industry with few choices has now become a very competitive market with dozens of products to choose from. With that said, I still believe the SnoreRx is a good product although I have found other mouthguards that are just as effective, more comfortable, and in many cases, more affordable. You can find a list of mouthguards that I have personally tried and recommended to my readers here. Walgreens and CVS snoring mouthpiece – Are these available in drug stores? Where can I buy a snoring mouthpiece to stop my snoring?